Striking the right balance is the key when it comes to leading a healthy life. Whether it’s eating, exercising or sleeping, there should be a balance to keep away most of the health problems. The busy schedule that most of the people have nowadays has made them negligent about a number of important things like when and what they are eating, how often they are going to gym and how much sleep they are getting. But most of the people are not aware and if they are, they don’t even bother to give it a thought that this negligence may lead them to a heart attack and an increased cholesterol level is the first step towards it. 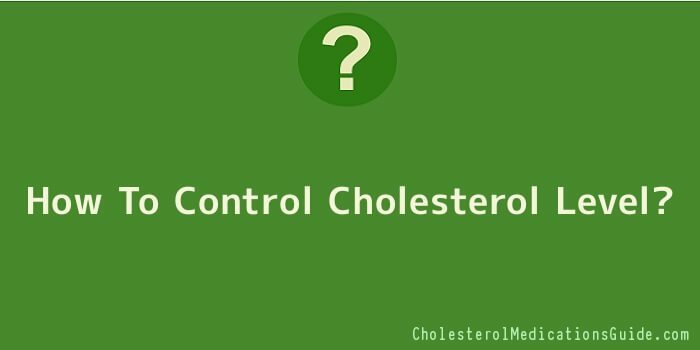 Cholesterol is an integral part of the human body; but the problem starts when due to excessive use of certain food items or not fully consuming the food by exercising, the level of cholesterol in the body increases. At start, this change in cholesterol level goes unnoticed because it doesn’t have any prominent symptoms like many other health problems initially and many people find out about this when they go for their monthly or annual medical check up. Unfortunately, most of people come to know about it when they are at the brink of getting into high blood pressure which is the main reason of a heart attack. Self control really helps when it comes to dealing with high cholesterol. It is necessary that the advice of a doctor is taken and a completely new diet plan is adopted in consultation with a dietician. Most of the people, at first, find it rather difficult to adopt a completely new set of eating habits and taking regular time out to go to gym, but gradually, when they start feeling the positive effects, this initial irritation goes away. One must understand that this problem arises by either not fully consuming the food by exercise or any other kind of physical activity or by having such food regularly which is so rich in fats or carbohydrates that it becomes almost impossible to consume it in any way. When it comes to adopting a new diet plan, substituting plays an important role. It’s all about substituting food items rich in fats with those which have lesser fats or carbohydrates. Breakfast, lunch and dinner are the three main meals of the day and there are slight changes that have to be made in these meals which help a great deal in bringing the cholesterol level down. For example, in breakfast cereals should be used with skimmed milk and coffee should be replaced with tea without sugar. The use of red meat should be stopped completely; rather, preference should be given to white meat like fish and chicken but it’s important that the chicken is used without skin. In case a piece of steak is tempting, it should be mixed with a lot of vegetables. Fresh fruit juices should be taken instead of colas and a glass of red wine is as enjoyable as a beer. These rather small changes really make a big difference in dealing with high cholesterol.